No one likes to see defects in their work, but sometimes pinpointing the reasons why they are happening can be a pain (to put it politely). 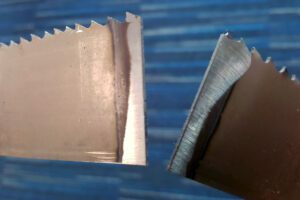 When you are shearing metal with a sheet metal guillotine, two of the most common defects you might come across are twisting and bowing. The good news is there is much you can do to avoid them both, so take a deep breath, count to ten and take a look at exactly what these defects are, and how to take steps to ensure you avoid them. This defect occurs when a plate becomes twisted along the length of its axis and can typically happen when working with narrower strips. Twisting can be caused by a lot of things, from the characteristics of the material itself, to things like cutting speed and the geometry of the workpiece. If your sheet metal is no longer flat, with edges or the middle section raised then bowing has occurred. It might have occurred due to the cutting angle or even the strength or quality of the plate itself and sometimes a smaller shearing angle or improved back support can rectify the problem. Setting the blade gap correctly won’t just remove twisting and bowing from the equation, it will also prolong the life of your blades and most likely; the guillotine itself. Too tight and the metal might jam in the gap, not tight enough and excessive forces will be needed to shear your metal. Another issue that can almost definitely lead to twisting or bowing, however the good news is that if your blade gap is correct, and the shearing edge is sharp, then things are looking good. Ensuring the blade is sharp? This one is down to good old housekeeping and a solid preventative maintenance policy, whether you are a sole trader, or a multi-national; sharp blades mean good workmanship, so checking them regularly is important. 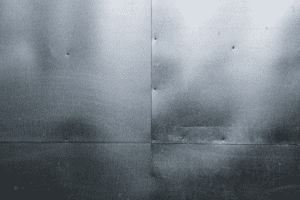 What is the quality of the metal plate/sheet? Performing and logging routine inspections as part of a good maintenance plan will generally identify any problems. There are other things you can do, making sure for example that your shadow line wire has been replaced if broken and that the shadow line light is working well, are useful checks. 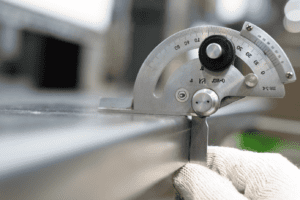 Ensuring that your squaring arm and rulers are set correctly are also important and last but by no means least; here is a very useful guide on how to datum your backgauge correctly. 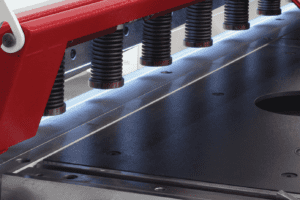 For more help and advice on how to perform these tasks on your guillotine, how to troubleshoot shearing defects or for any other queries, get in touch: click, tap or call us on +44 (0)1432 346 580, email sales@selmach.com or get in touch via our website.